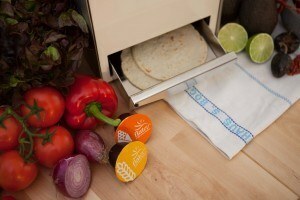 Did you know that in the United States, tortillas are consumed more than any type of bread? The tortilla market is estimated at $12 billion today with a 10% annual growth. That’s a huge market to tackle, but we’ve been determined since the very beginning. We’ve been working relentlessly to bring you the best and most authentic tortillas. All that hard work has paid off! We’re excited to announce that we’ve raised an additional $3M to break into U.S. markets by 2016. We hope you’re as excited as we are. If you’d like to be one of the first to own this one-of-a-kind machine, you can pre-order here! https://flatev.com/wp-content/uploads/2017/05/logo-300x133.png 0 0 Sandie Cheng https://flatev.com/wp-content/uploads/2017/05/logo-300x133.png Sandie Cheng2015-04-16 11:00:492015-04-16 15:05:36BIG NEWS: We've raised an additional $3M! We’ve Moved into Projective Space! 5 Things You Need to Host Your Own Cinco de Mayo Fiesta!